Our firm is led by ‘No Win No Fee’ Queensland Law Society Accredited Specialists in Personal Injury Law*. We are a Gold Coast Injury Law Firm who specialise in all aspects of personal injury law. Strict time limits apply when making a claim. Do not delay. 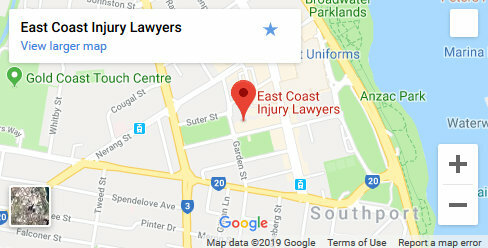 Contact us today if you need a personal injury lawyer on the Gold Coast to provide you with a free, no obligation consultation about your injury claim. Our Gold Coast office is led by accredited specialists in personal injury law that can advise you of your legal rights to compensation after an accident. 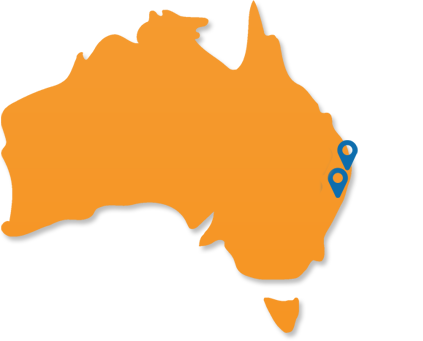 We have offices in Robina and Southport. Our senior expert injury lawyers are happy to meet you at your home address or hospital. Contact our Queensland Accredited Specialists. Get help now! 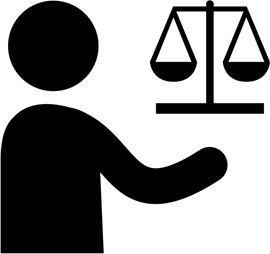 Sustaining personal injury as a result of the negligence of another can lead to stress and financial hardship. If you have been injured as a result of the negligence of another or an unsafe system of work you may be entitled to a damages or compensation claim. 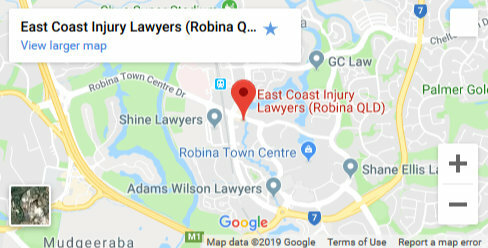 Our personal injury law firm is headed by Queensland Law Society Accredited Specialists who are experienced in all areas of personal injury law and provide senior expert injury advice. 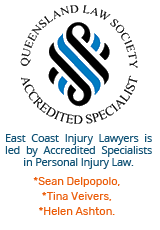 Gold Coast Personal Injury Lawyers, is a division of East Coast Injury Lawyers. If you are too injured to attend our offices, we can arrange visits with our lawyers to your home or hospital. Strict time limits apply, do not delay. Seek advice today from our Gold Coast Injury Law Accredited Specialists. What Types Of Injuries Can I Claim Compensation For? What if my injury is only a minor injury? We strongly urge that you do not self-assess your injury. A health care provider or healthcare practitioner is the most suitable individual in ascertaining and analysing the short and long term aspects of your personal injury. Some injuries, such as a whiplash injury, may initially seem like a “minor” injury. However, over time, the signs and symptoms could be much more acute particularly with the ageing process. Focuses on obtaining a good settlement for the client outside of court if possible. One of our accredited personal injury specialist lawyers may offer you with an even more personalised review of your case and notify your situation in the free initial case review. 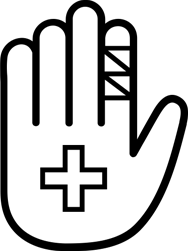 Since every injured individual’s situation is unique, it is difficult to measure an accurate figure of compensation or damages an injured person will receive. Consequently, it is important that if you are seeking legal advice for an injury you consult with an accredited personal injury specialist lawyer so that you are able to regain sufficient reimbursement to represent your own special circumstances. Contact us now to have your claim reviewed by one of our accredited personal injury specialists. If you are injured in a motor vehicle accident, the Compulsory Third Party Insurer will usually pay your compensation. If you are injured in the workplace, your compensation is usually paid by WorkCover Queensland (unless you are an employee of a self insurer). The Queensland Law ensures that Businesses are required to have a public liability insurance policy. Likewise, Property owners, while not always, usually do possess a public liability insurance. The purpose of this insurance is to ensure that if a third party is injured on the property the third party will have the right to be compensated for their injuries regardless of the financial resources of the property owner and / or business. Thus, in most situations, it will be job of the public liability insurance policy provider to financially provide the compensation for the injured party. There are strict laws that restrict how long you have to make a claim for compensation for personal injury. Generally, you will have 3 years from the date of the accident which caused your injury. There are certain exceptions however where the time restrictions may be shorter. We strongly recommend that you get in touch with us to seek a free case review in order to ensure that you will not run out of time and be denied making a claim for compensation or damages. Our firm operates on a “No Win No Fee” Basis Guarantee. Contact one of our accredited personal injury specialists if you have any particular queries or doubts in regards to your case. If I do want to make a claim how do I start the process? Contact one of our accredited personal injury specialists for a free consultation so that we may begin the process for your compensation claim. When you contact us we will inform you of what information will be required and what will be the next steps for you. Contact one of our accredited personal injury specialists to get a free case review so that we can begin the process for the reimbursement claim. When you call us, we will let you know of exactly what information is going to be required and what will be the next few steps for you. Is Personal Injury Compensation Taxable in Australia? Accident claims in Australia are not subject to taxes such as capital gains tax or income tax. However, if you were to transfer your compensation into a term deposit and an interest is earned on that amount, you may be taxed. Enter your details below and one of our accredited compensation specialists will contact you as soon as possible for a free, no obligation case review.